Aakriti Kochar is renowned brand in the Wedding industry, offering services in India and Abroad. Been the magic hand for some of the biggest weddings within India and destination weddings in Udaipur, Jodhpur, Goa, Agra, Jaipur, Singapore, Turkey; she has a trained team of 50 experts in makeup , hair and draping can serve upto 500 people. Wow ! Did that take off some of your bridal jitters. Wait, we have some dos and donts for you so if you are doing wedding make up on your own or wondering about your diet prior to your wedding, read on for her tips. How will a bride know that a wedding make-up artist is right for her? Proper Research before choosing your makeup artist for your D-Day is the way to go. Almost every artist has an online page to showcase their work. Relate your style to their work and see how similar are those. Contact the artists and talk at length about the looks in advance with respect to your clothes and jewellery, but most importantly meet the makeup artist first to ensure he/she knows how you look ; skin type, face structure, hair type or any specific concern. Be confident in who you select. If possible get makeup and hair done once for a small event or party instead of a trial to get a better idea of the over all look. Trials are commonly done, but in my understanding they confuse you further without the complete look and the outfit. What’s your advice for bride’s doing their own wedding make-up? 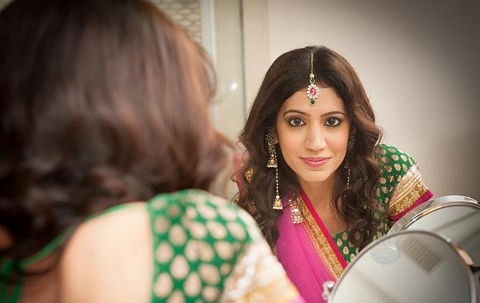 For those who opt to do their makeup themselves on the big day, start practising from the time you know. Watch popular makeup videos online and read articles. When facing camera, most importantly your face needs dimensions which in technical terms in called face contouring. Practice well !! Do not go on crash diets, it automatically shows on the face by making it dull. Follow a healthy diet and exercise instead. Do not try any new cosmetic just before or on the day of the wedding, it might give your skin a reaction. 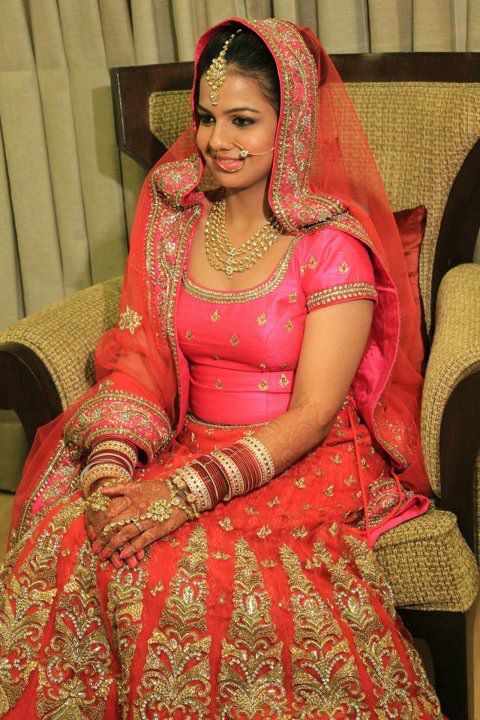 How should she prepare for her wedding make-up trial? Opt for a party makeup for an event much before your wedding instead of a trial so you are a better judge of the over all look. This way you also get to see the overall stying of your makeup artist. What are your top 3 tips for obtaining the best skin prior to your wedding? 1. Stress more on fresh fruits, juices , vegetables , salads instead of skipping meals. Ensure good amount of water intake. 2. Exercise well to kill toxins in your body. Exercise is one of the best cure to all skin related problems. 3. Get mild but regular cleansing to remove impurities and glow on the skin. The better your skin is, the better makeup looks on it. 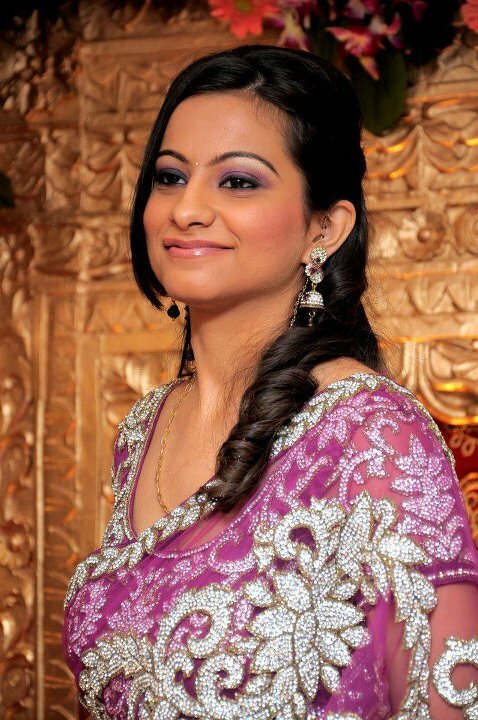 Indian bridal makeup has had a shift from loud faces to much toned down classy looks in terms of makeup and hair. Carry a light base and look real in your skin. Do not attempt to go shades lighter than your original skin color, it makes you look grey and your face look unreal. Work more on the glow. Avoid too much shimmer or shine on the face, it makes your face look heavy and sweaty in pictures. Keep a matte face and let the shimmer be on the eyes only. And on the ending note, she says – Less is More and The EYES have it. Now you must be wondering how to i get to know her better for my bridal make up, head on to her facebook page which she updates regularly or visit her website.